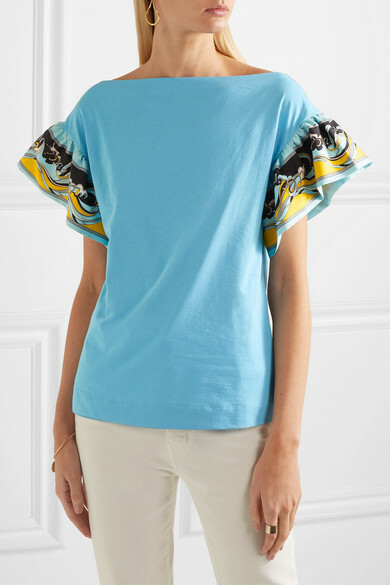 Emilio Pucci's top is cut from soft cotton-jersey in a bright shade of blue and has an elegant boat neck. 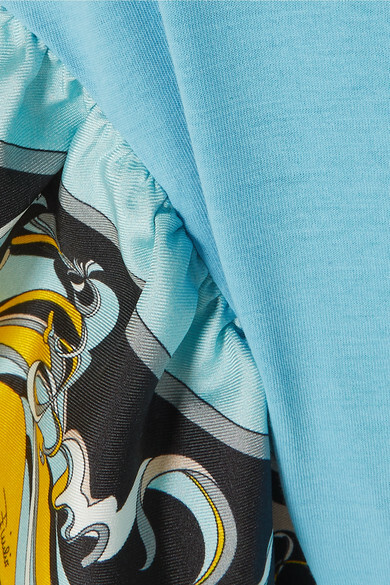 The sleeves are trimmed with ruffled silk printed with the label's iconic retro swirls. 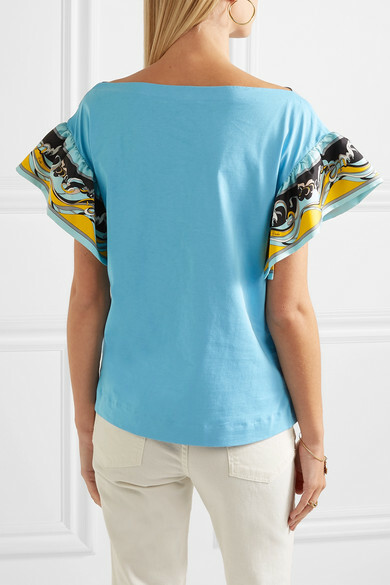 Wear yours tucked into jeans or shorts. 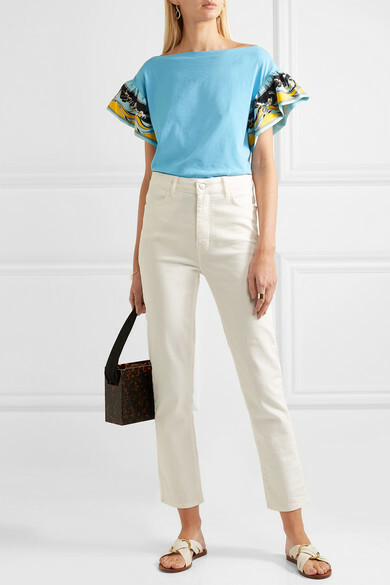 Shown here with: CASASOLA Jeans, Montunas Tote, Chloé Slides, Jennifer Fisher Ring, Alighieri Bracelet, Paola Vilas Ring, Chan Luu Earrings.